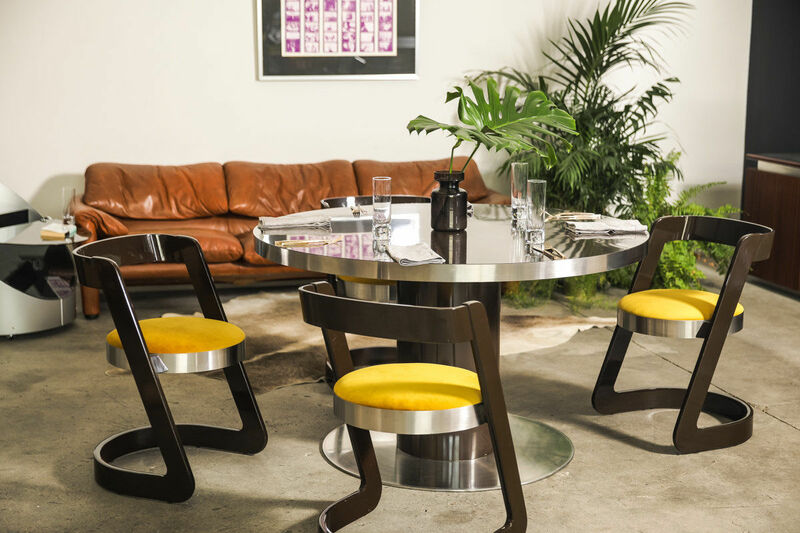 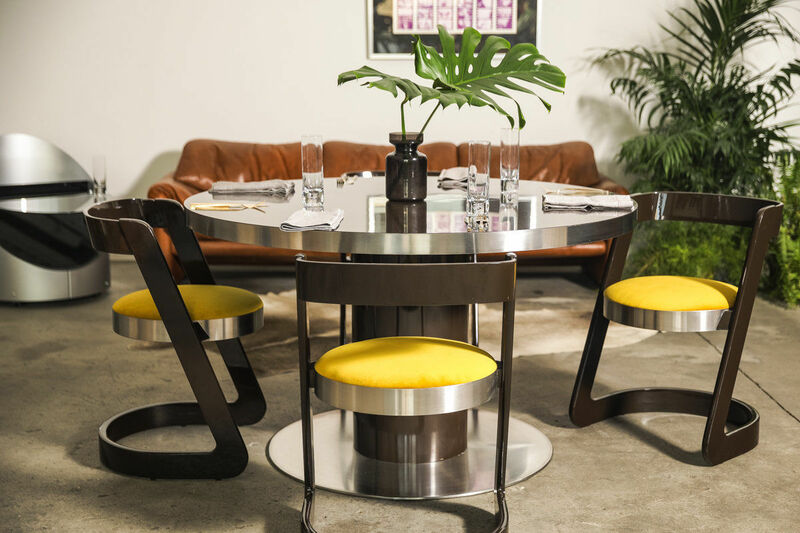 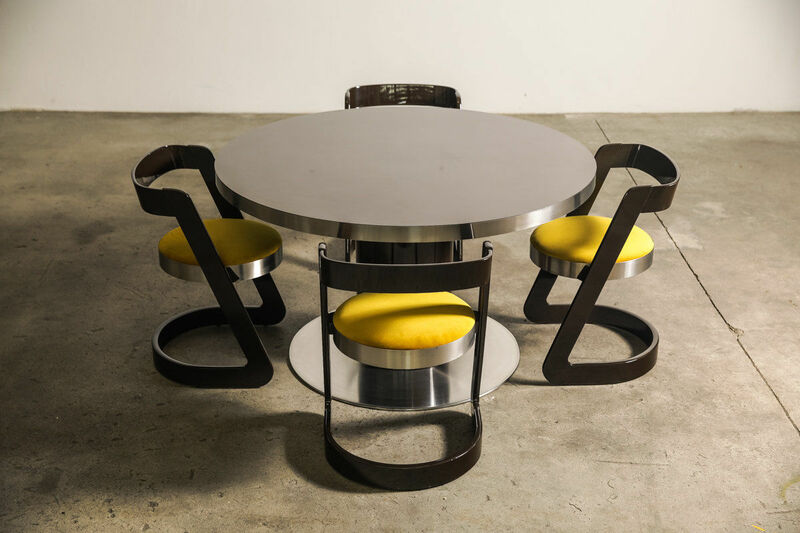 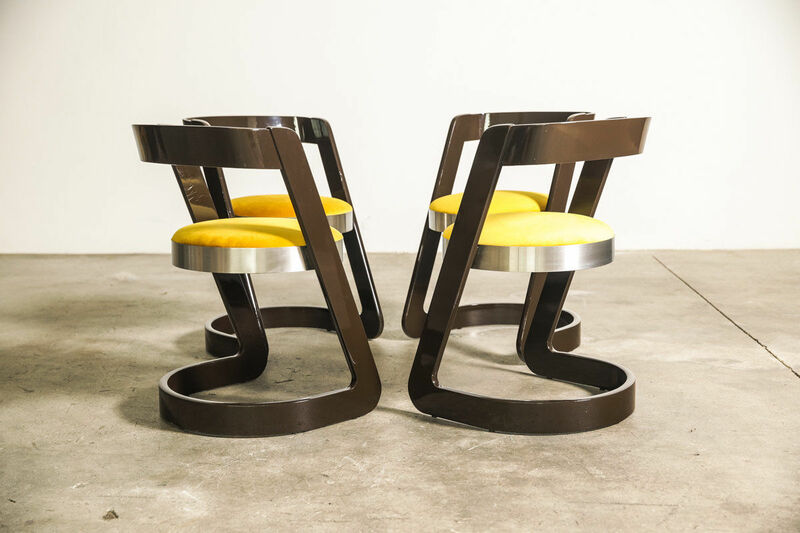 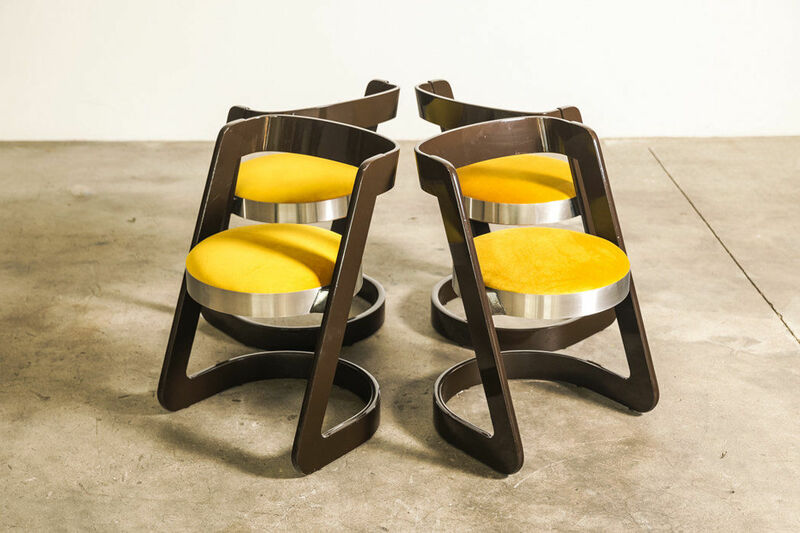 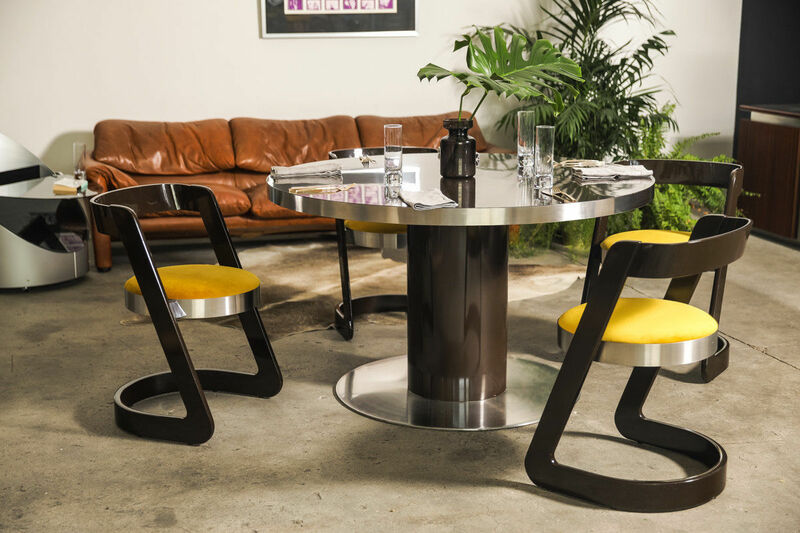 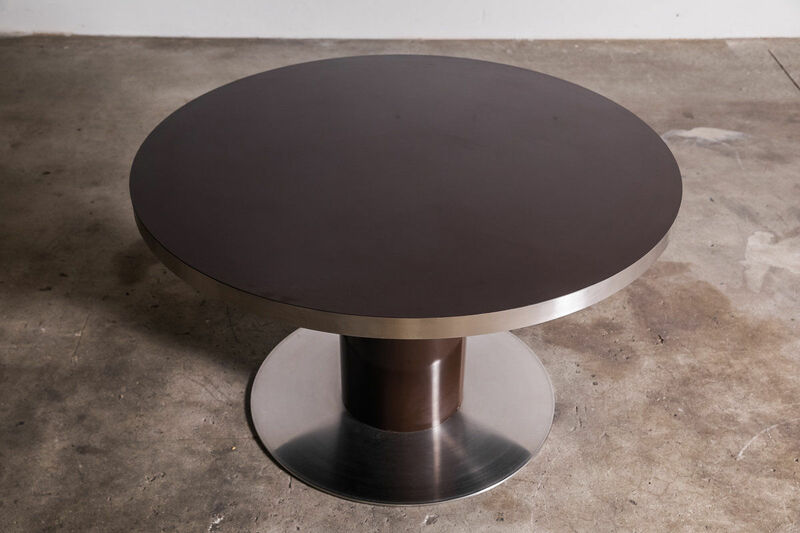 Pedestal table Set by Willy Rizzo | Castorina & Co.
1970 Willy Rizzo Dining table made of wood and steel: the surface has an elegant dark brown gloss laminate surface framed by a steel band 5cm thick. 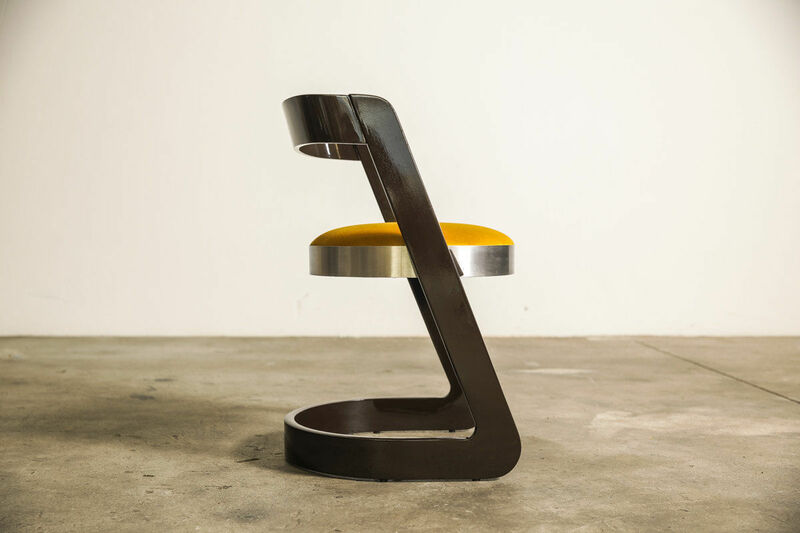 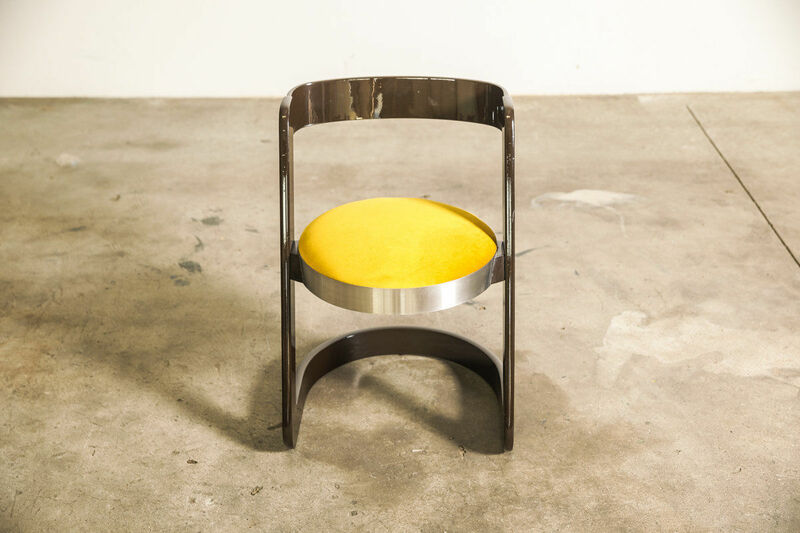 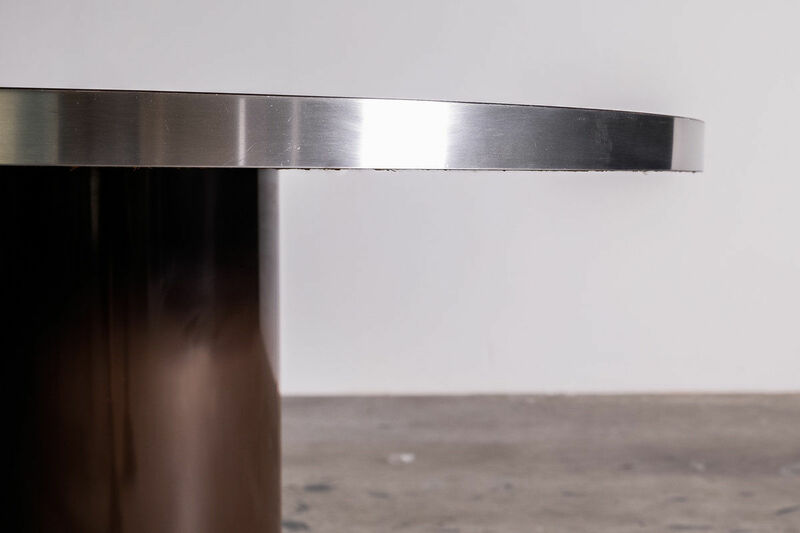 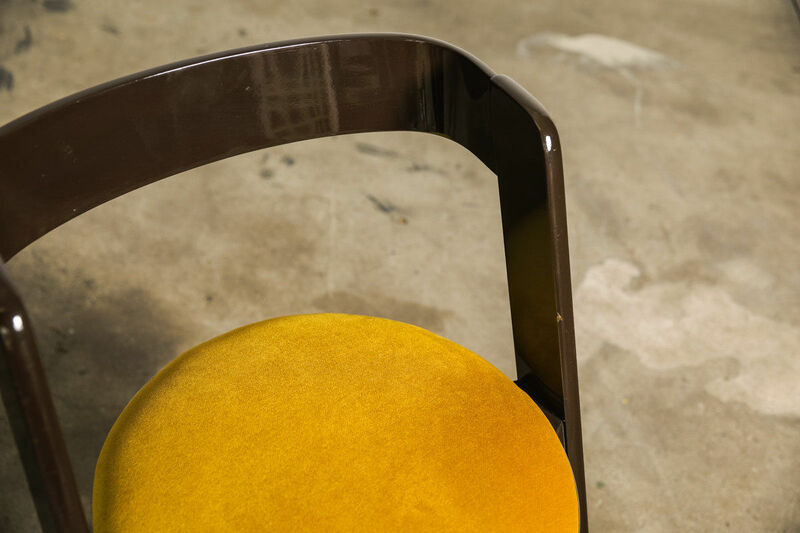 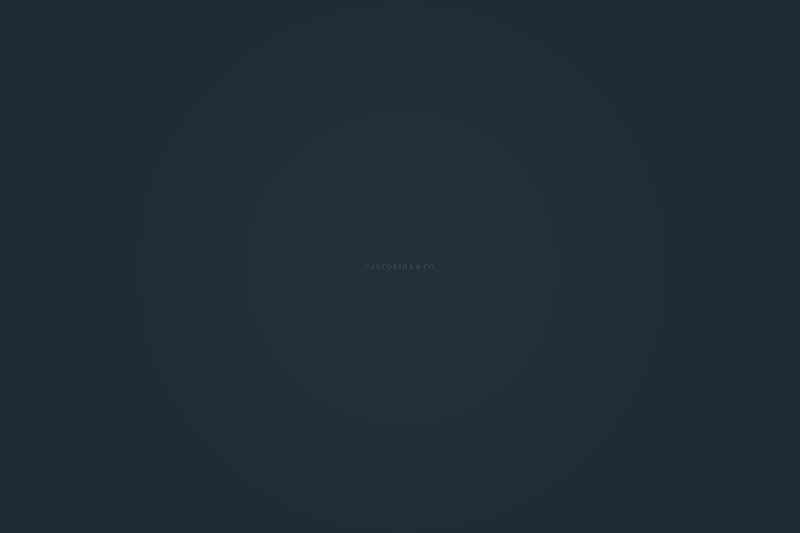 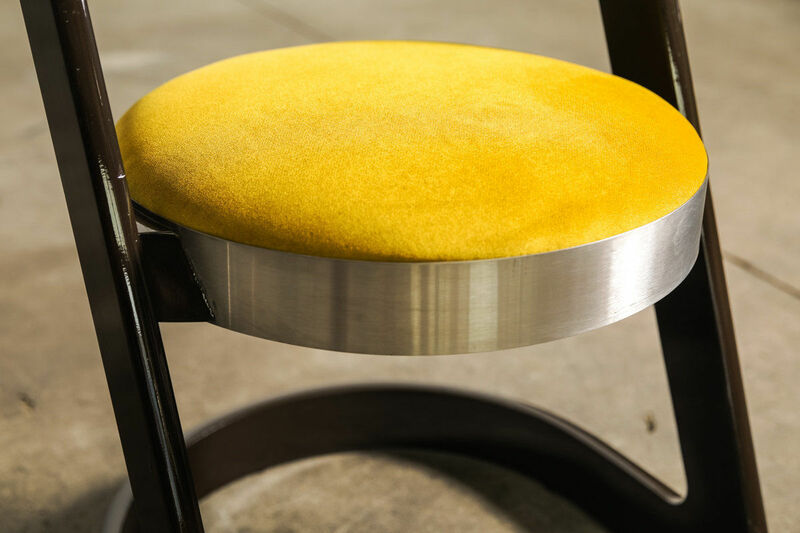 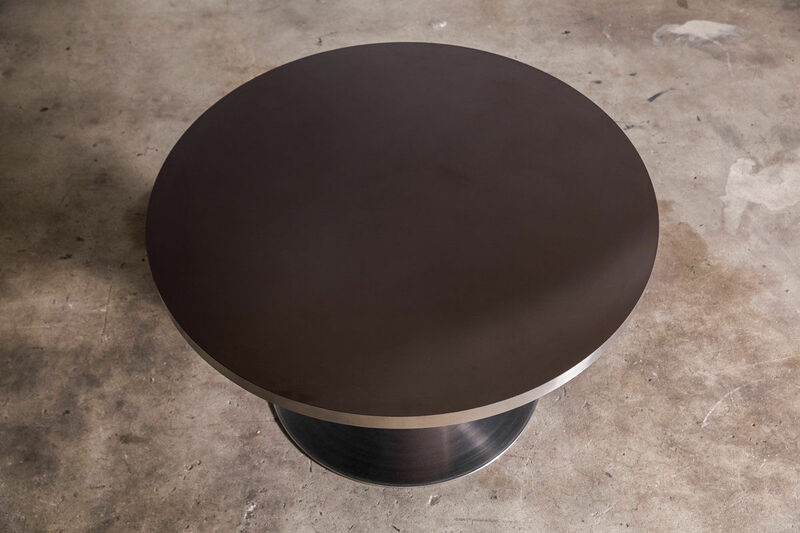 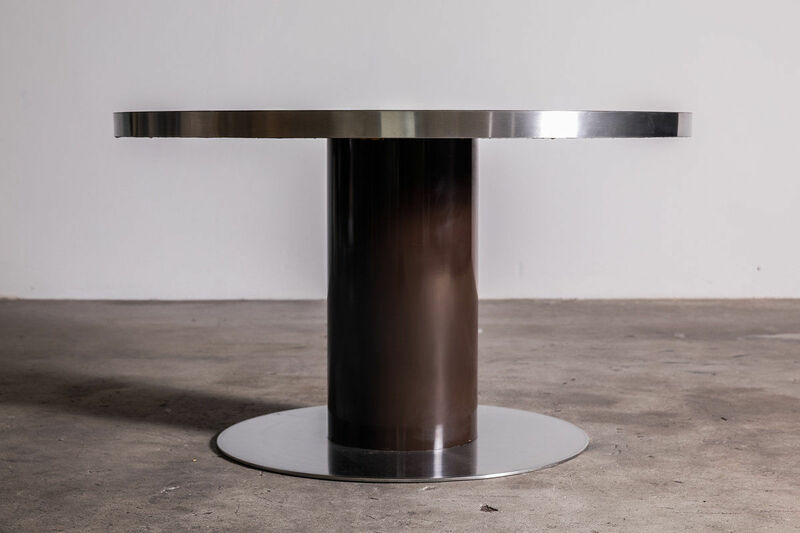 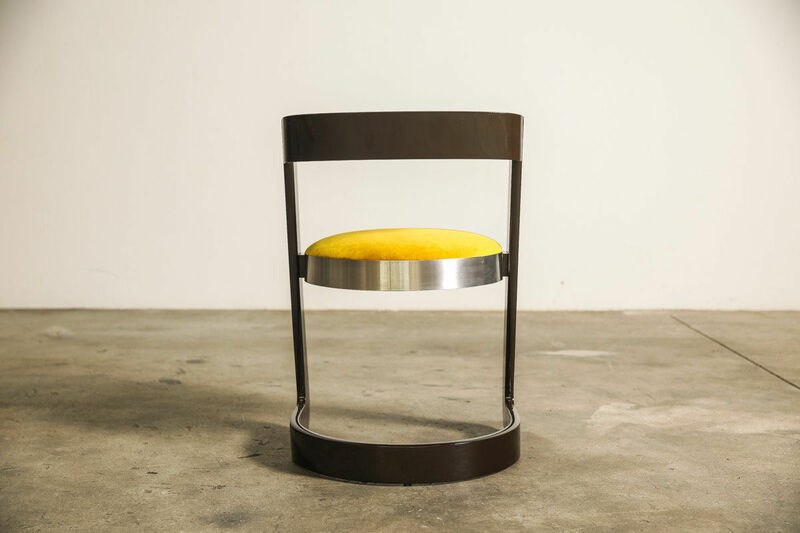 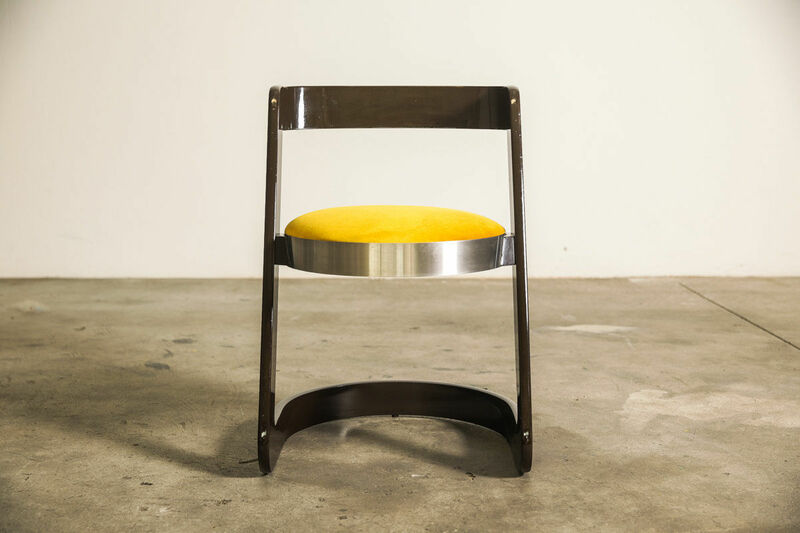 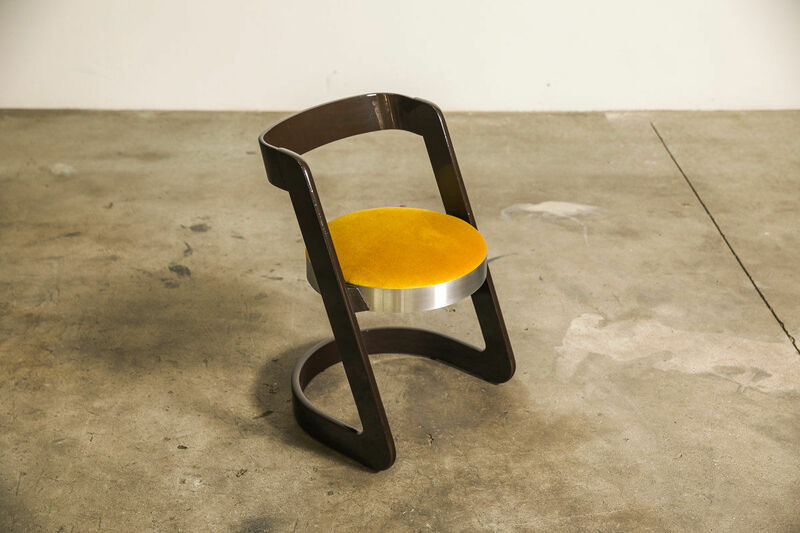 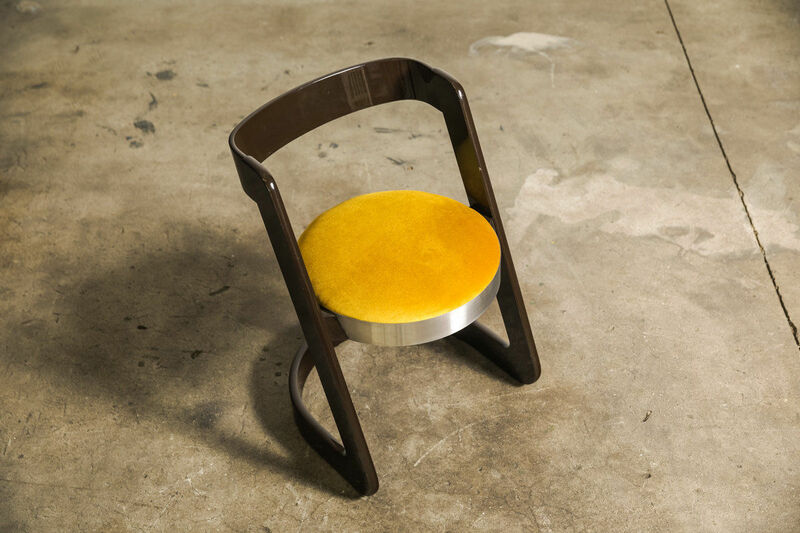 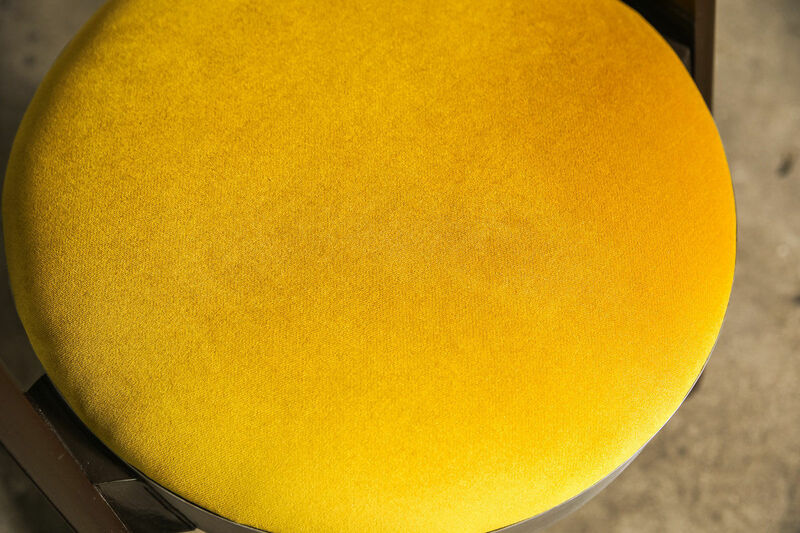 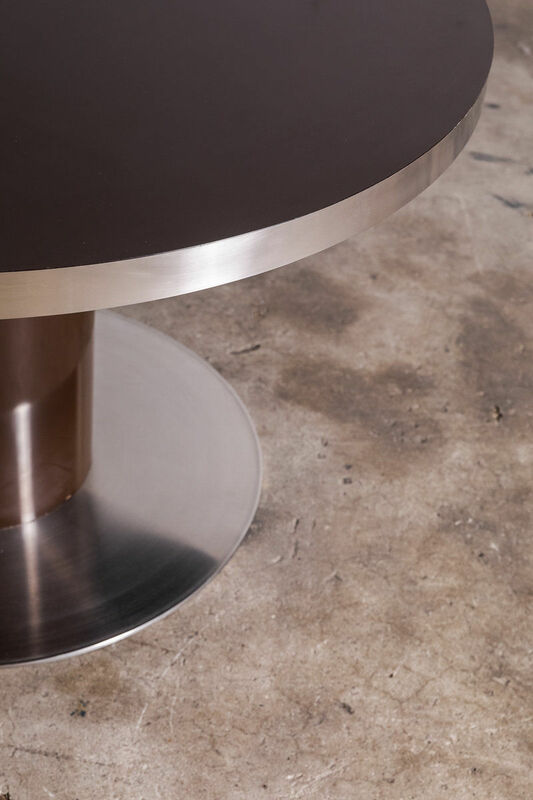 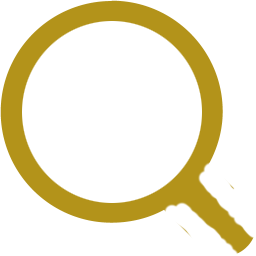 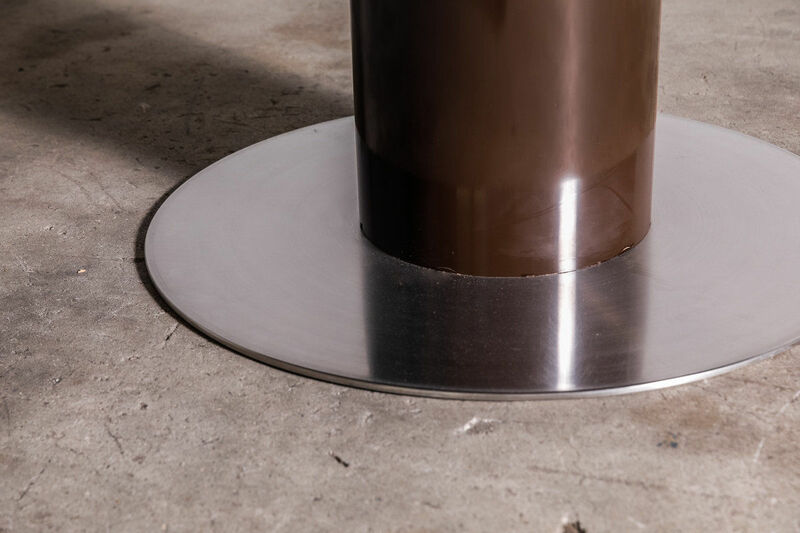 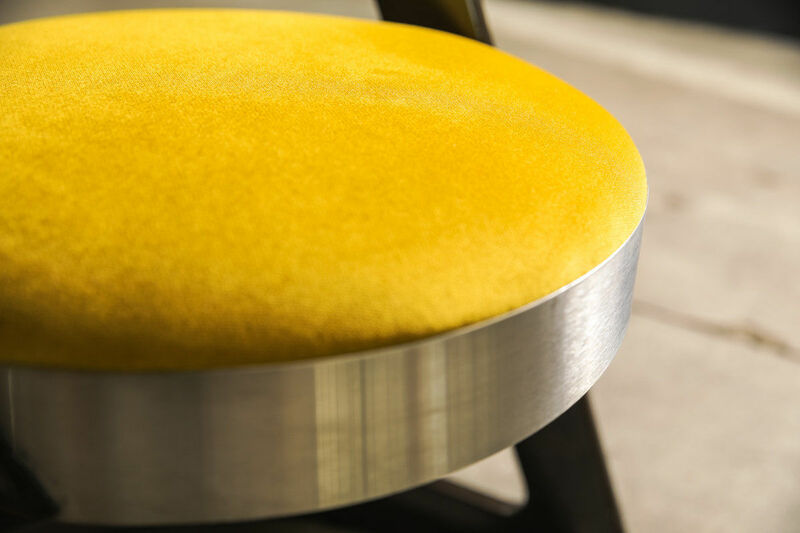 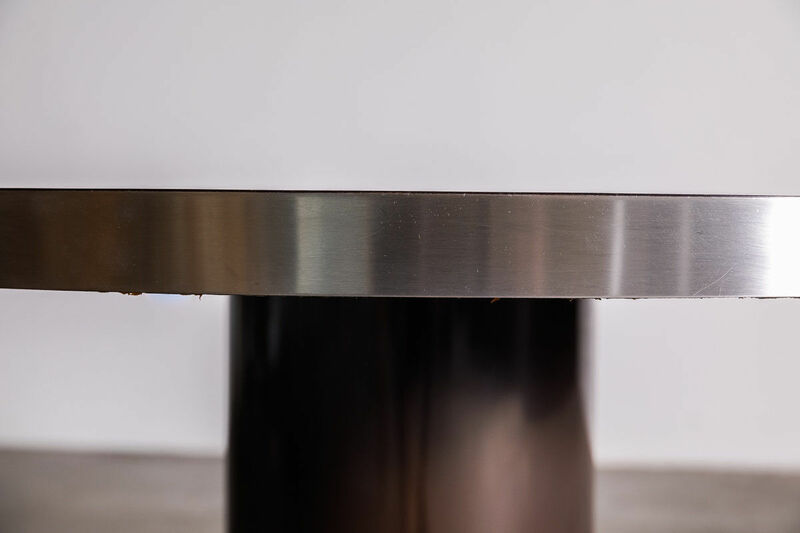 The pedestal is laminated as the top and stands on a thick round steel plate. 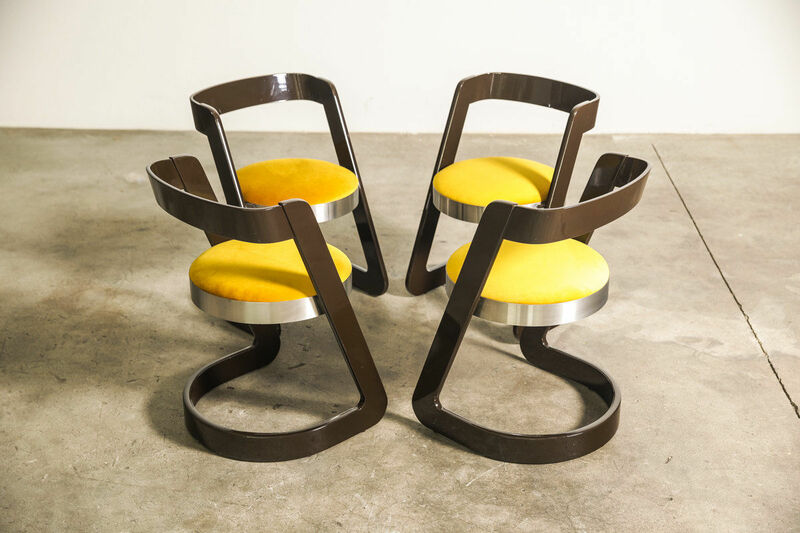 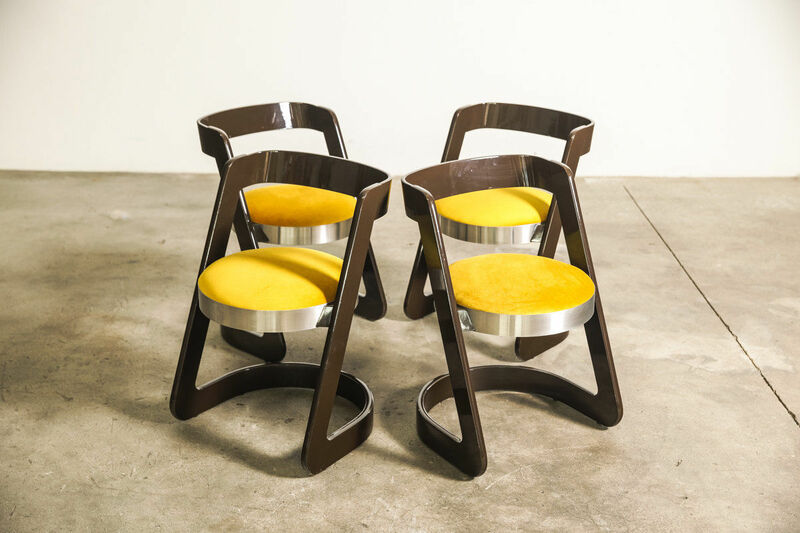 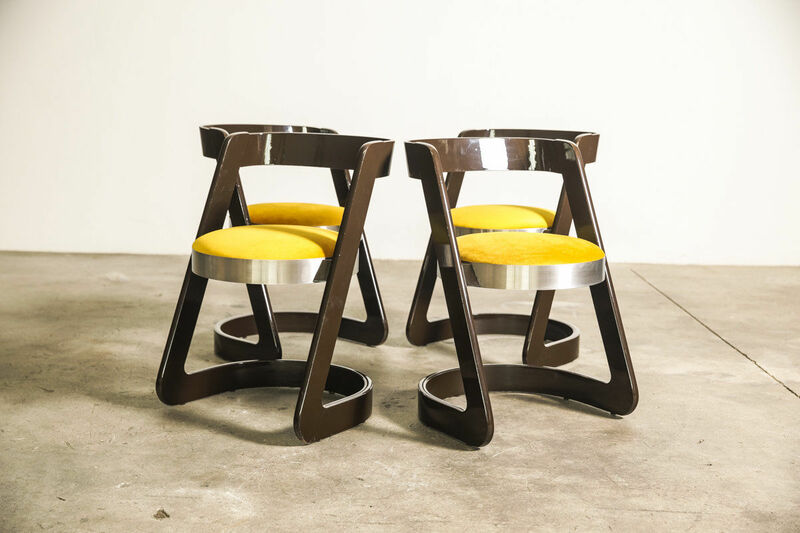 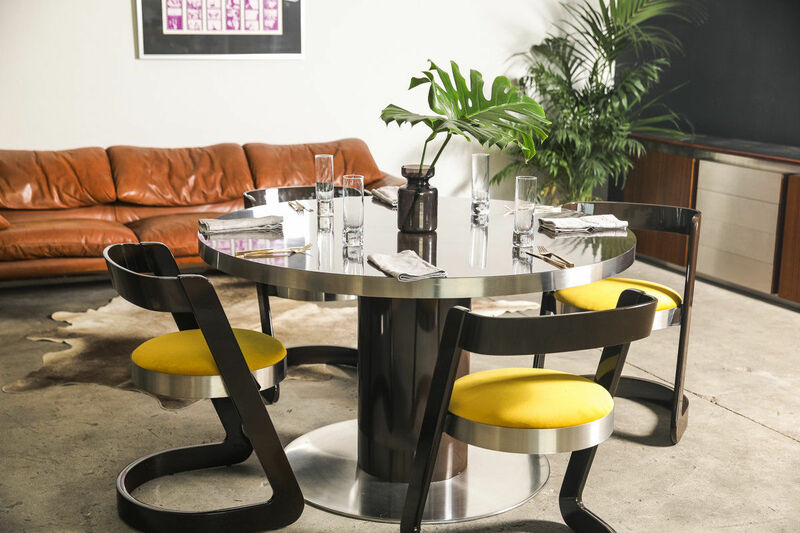 The set includes 4 Willy Rizzo chairs with new upholstery.